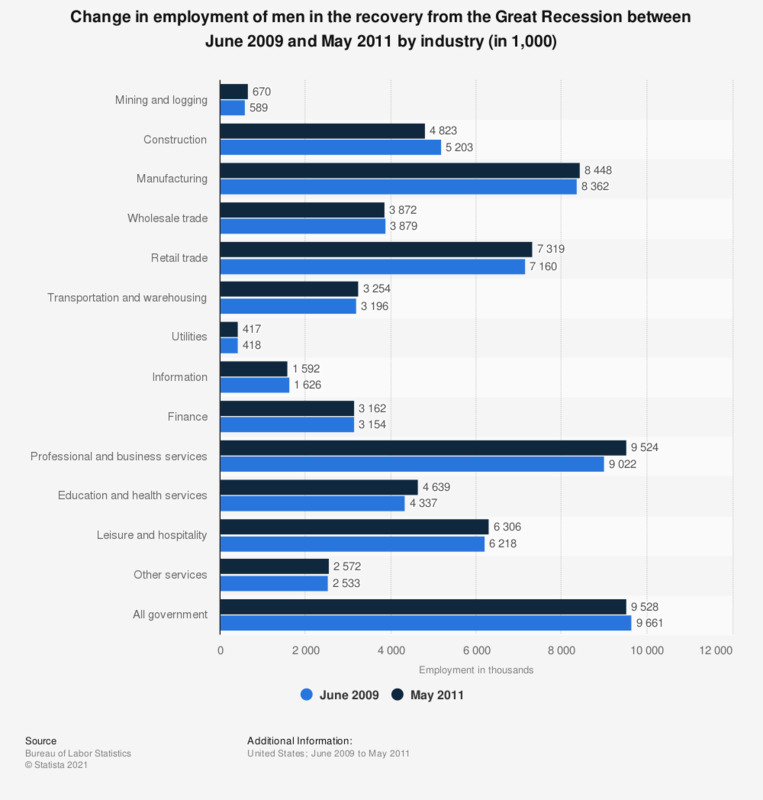 This statistic shows employment of men in the recovery from the Great Recession by industry. In June 2009, employment of men in the finance sector was 3.15 million. Data are seasonally adjusted. Estimates for May 2011 are preliminary and subject to revision. The recession is dated from december 2007 to June 2009. The time of recovery is dated from june 2009 to may 2011. Do you agree that the economy is unlikely to improve over the next several years?